We are happy to include Digi-Key and Mouser in our list of official distributors. With local offices worldwide, Digikey and Mouser are the preferred sources for professionals and engineers around the world. RF Explorer firmware upgrades are free and safe. You can easily upgrade your RF Explorer Spectrum Analyzer and RF Explorer Signal Generator using Windows, Linux and now MacOS X too! We're happy to announce that Boston based RF Venue, Inc., has released VANTAGE, a native Mac OS X spectrum analysis and frequency monitoring software program for use with all RF Explorer® handheld spectrum analyzers, as well as RF Venue’s rack-based RF Explorer® RackPRO. Now, all the usefulness and adaptability of the RF Explorer is available to anyone using a Macintosh desktop or laptop. Vantage is composed of three core features—spectrum scanning, frequency monitoring, and CSV file exports of scan data compatible with Shure Wireless Workbench® and Professional Wireless Systems' IAS. Depending on which RF Explorer you're using, Vantage can scan frequencies as low as 15 MHz, to as high as 6.1 GHz. It was designed to be fast, easy to use, and compatible with other wireless tools and workflows. RF Venue will be rolling out even more features and making them available to all users via upgrades, including IMD analysis. All new features will be free of charge to existing licensees. Each Vantage license is just $99 USD. Fixed screenshot file & clipboard image copy function. Before this fix, the new collapsible control areas may not draw correctly in the screenshot file sometimes. Added median average to improve noise rejection in SNA tracking display. The new RF Explorer Spectrum Analyzer firmware v1.12 Beta 24 is available for download as well. Include additional protocol data exchange for calibration data share with RF Explorer for Windows software. This will enable the system to offer full calibration capabilities for end user in the future. 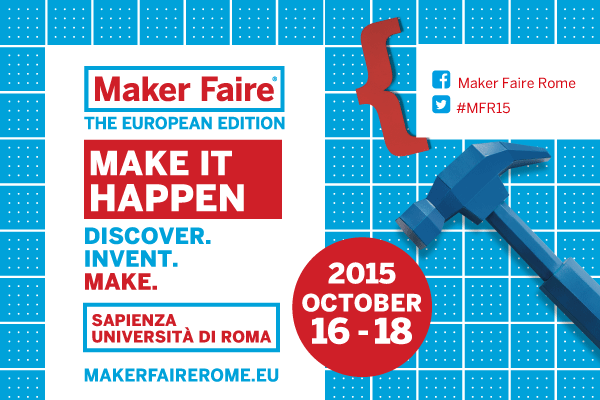 RF Explorer Team will be sharing booth with SeeedStudio crow at MakerFaire EU edition in Rome. This is a nice opportunity to learn how device works and see demos and ask questions or provide feedback.